With a modern, yet rugged, appearance that complements the beauty of nature, the Tropitone® Lakeside Sling Outdoor Furniture is the epitome of dependable comfort. Lakeside Sling Seating features your choice of Tropitone's durable sling fabric especially designed for comfort and ease of maintenance. The Lakeside Sling Collection includes outdoor dining chairs, swivel rockers, lounge chairs, action loungers, sofas and love seats, ottomans, and chaise lounges. 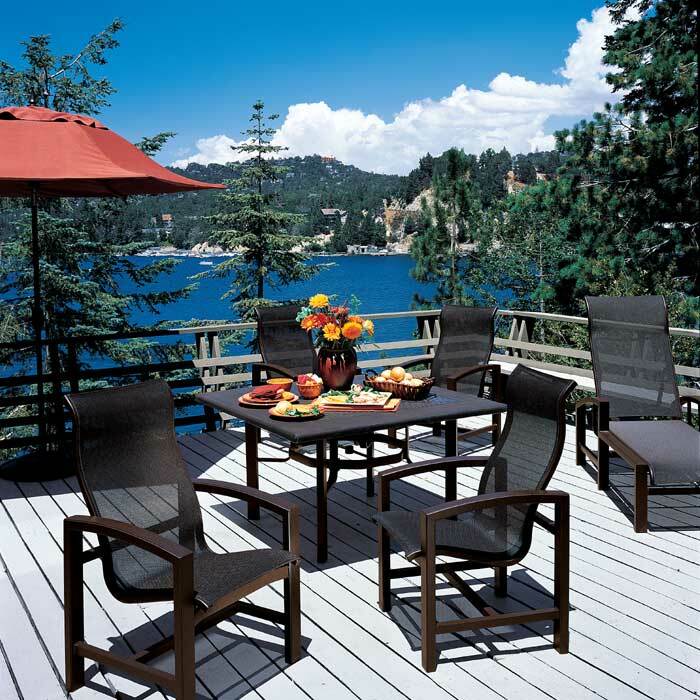 Constructed with lightweight, durable aluminum frames, Lakeside Sling Furniture is made to stand up to the elements.